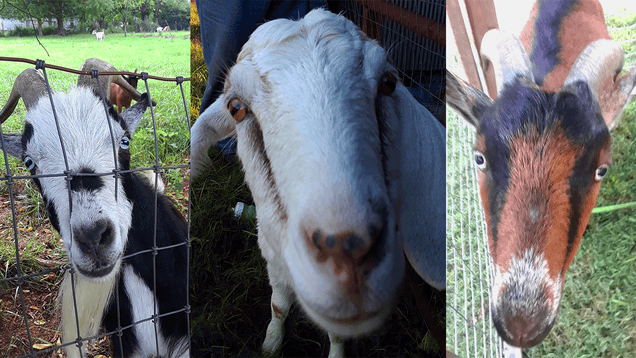 But Rieper-Estes’ goats are more than your average grazers. 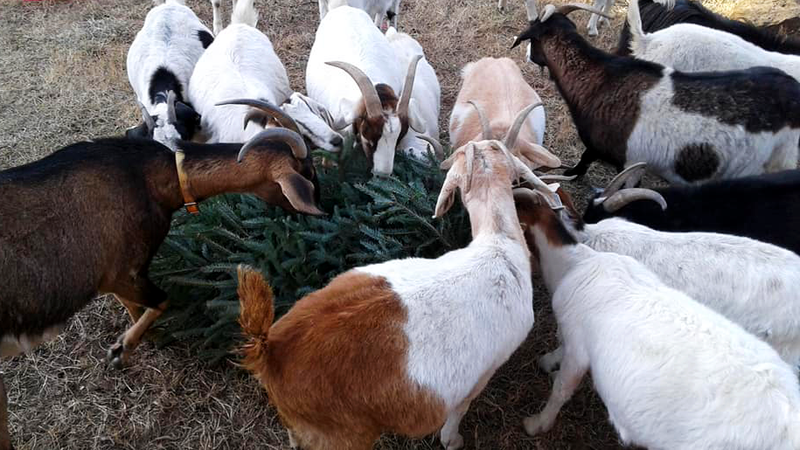 The so-called Greedy Goats of Northwest Arkansas are a group of 20 whose job it is to travel around the city of Fayetteville, Arkansas, and eat invasive species. In Northwest Arkansas, that mostly includes bush honeysuckle and Chinese privet, the goats’ favourites. Rieper-Estes launched this business in 2015 after her initial three-goat herd began to multiply. She knew goats were effective at clearing brush and shrubs. (After all, she bought her first three to help clear blackberries from her property.) Out West, goats have become a popular fire suppression tool because they reduce the amount of natural fuel-like shrubs that help wildfire spread. To give you an idea of how in-demand goats have become for all sorts of purposes, HireGoats.com lists “goat service professionals” from around the US. Still, it took Rieper-Estes some further research before realising that her hungry friends could be a sustainable solution to removing invasive plants. They eliminate the need for toxic chemicals and energy-guzzling machinery that are often used to kill and remove plants. The goats also help fertilise the land with their droppings.